OSG Speed Training Resistance 48" Running Drill Chute Parachute Sprint Fitness. 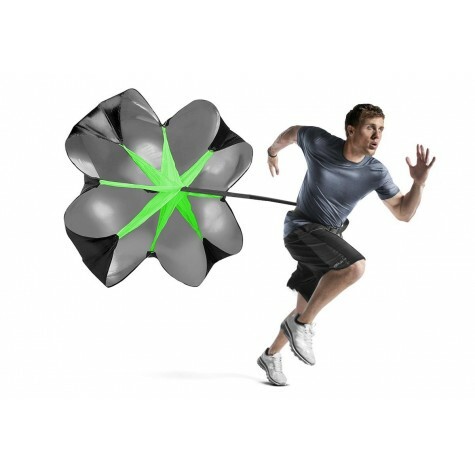 A parachute that opens up behind you when you run and provides resistance. It is a popular inclusion in a lot of sprinters training, Because it provides an overload stimulus that usually only running up hills can give you. It attaches via a harness around your waist and when you take off, catches the wind. It will help you to increase both your speed and your strength, because you will work against the resistance provided. Very effective when used as part of a rounded training plan. Clearance sale till stock available.